Quick Hit Riches Triple Blazing Seven’s Wild slot brings the ever popular Quick Hit Series to a more traditional style game. There’s nothing especially fancy going on in this slot, but that’s not what it’s about. 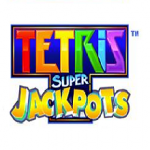 It’s a relatively simple game that’s very easy to play, but potentially very rewarding with 5 progressive jackpots up for grabs as well as a free games bonus feature with rising multiplier, leading to some very big payouts if you’re lucky enough. The Wild symbol, as well as being the most valuable, also substitutes for any of the above base symbols in a winning combination, as you’d probably expect. 5 scattered Quick hit symbols pays 10x total bet or 5 Quick Hit Jackpots with max credits bet. 6 scattered Quick hit symbols pays 50x total bet or 6 Quick Hit Jackpots with max credits bet. 7 scattered Quick hit symbols pays 100x total bet or 7 Quick Hit Jackpots with max credits bet. 8 scattered Quick hit symbols pays 650x total bet or 8 Quick Hit Jackpots with max credits bet. 9 scattered Quick hit symbols pays 2000x total bet or 9 Quick Hit Jackpots with max credits bet. The reward from each symbol is quite self-explanatory. You’re awarded the corresponding number of free games, and start at the designated multiplier. Throughout the Free Games Bonus, at the end of every spin your multiplier may increase by 1x for every Rising symbol that appears on reels 2, 3 or 4. All pays are then paid using the Free Games multiplier, which can extend all the way up to 8x. If the Rising symbol appears on the last free game of the bonus and there are no wins, it doesn’t count and the multiplier won’t increase. 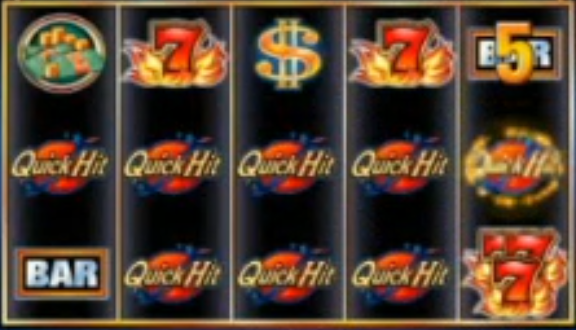 The Quick Hit symbol during the Free Games Bonus pays the same Multiplier as above, apart from Quick Hit Jackpots which cannot be awarded, and 9 scattered symbols only pays 650x. However, with a potential 8x multiplier on top of this, the rewards from this can be huge at 5200x. 4 or 5 Wilds in a winning combination will pay 2000x the number of credits on the payline., while 5 Triple Seven’s will also pay the same amount. Free Games are played with the line bets that were active at the start, as per usual, and there is no option to win more Free Games during this bonus feature. It ends once all Free Games have been used up. This is a really interesting concept from Bally, being able to start at different multipliers with different numbers of free games. I think most would prefer to start with 12 free games at 1x multiplier and work their way up, but there’s not a huge difference in it. 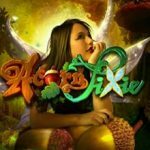 In all, a solid Quick Hit Series slot that will appeal to most of those who like the other slots in the series and certainly worth checking out.